Below is one of the three alleged independent witnesses from the fabricated crash report (A). He did not write a witness statement, but is the first person on the alleged 911 calls. This is his phone number on the card. 727 457 4927. 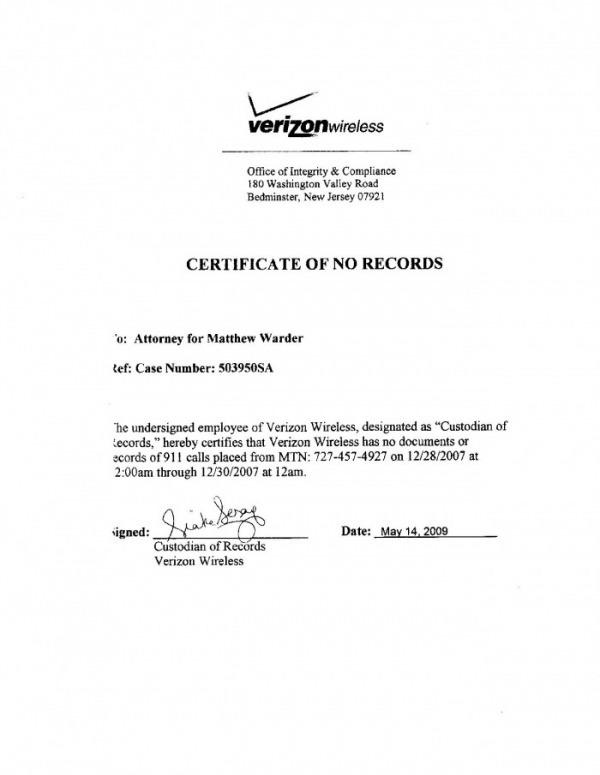 Below Verizon records indicating no calls. I was not in my car when I was found, refer back to the crash report.